“Taking the leap” is one of the most commonly used phrases in NBA lingo today. It seems like every player in the NBA under the age of 25 is viable to take the infamous leap, with varying degrees of what can be considered a “leap”. It’s a dangerous phrase that can be interpreted in many different ways. Does it require a giant boost in scoring numbers? Is there a requirement to make an All-Star team shortly after? What actually defines taking the leap? Well, we have plenty of current examples to worth with. The immediate future of Brandon Ingram’s career is based entirely around the idea of him taking a leap. Of him taking that next step to fulfill his potential as a possible second star next to LeBron James. He was already blessed with the Kevin Durant-like build, he just needs to hone the ball handling, become a competent shooter, and increase his court awareness. If that sounds like a tall order, it’s because it is. Taking “the leap” is essentially transforming one player into an entirely different – and hypothetically better – one than before on an undetermined and often arbitrary timetable. De’Aaron Fox took his leap after a disastrous rookie campaign in Sacramento. The result of his leap dealt with a multitude of factors. He had a head coach who believed in him, he understood what he needed to improve upon, and most importantly, the offense was built with him as the centerpiece. 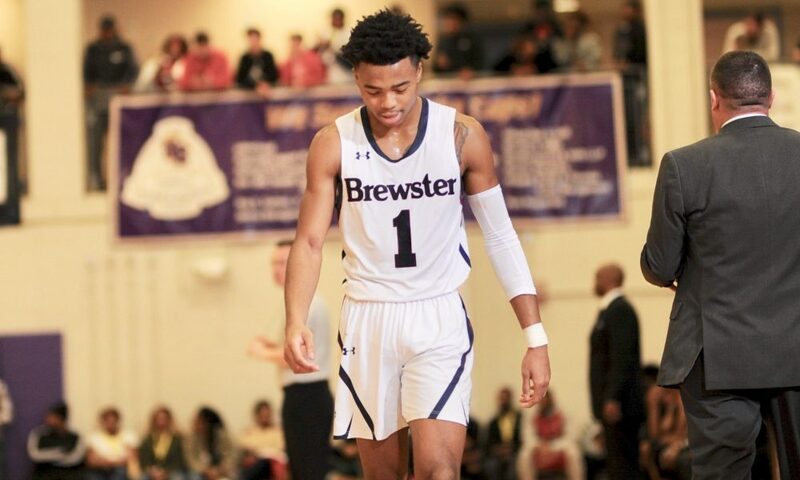 All Fox had to do was put in the work and find the confidence within himself and thus breakout into the borderline All-Star season he’s having halfway through his sophomore year. 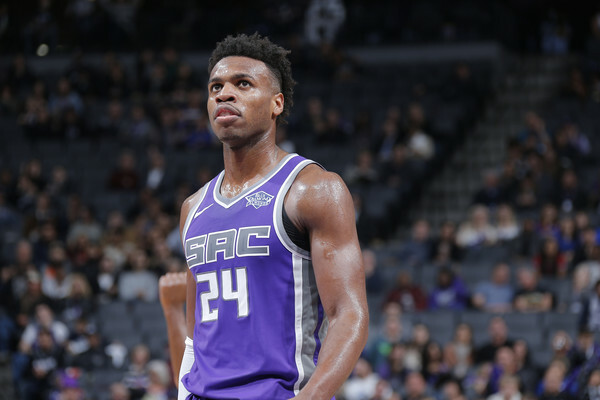 Fox’s backcourt counterpart, Buddy Hield, is undergoing a renaissance similar to what Fox went through. What separates Hield from Fox and Ingram, however, is one number. Their Age. All three are taking a leap at this very moment, some (Fox) more than others (Ingram), but it’s not often this happens to players on the cusp on entering what is typically considered the prime of their careers. Hield is 26 (we think) and not the prototypical player expected to take a giant step in their development. Usually, by now, the career paths of players in their mid-20’s have already been decided. Hield had the “luxury” of spending four years in college, so even at 26, he’s still viewed as young in terms of his NBA experience. Essentially, he’s still susceptible to learning the game and the Kings have been drilling him with information all while putting him in a position that allows him to build on his strengths. How a player is used is often an indicator of if they can take a leap or not. Play to their strengths and they can strive, restrict them to the limits of the offense at hand and that potential might never be maximized. Terrence Ross is having his best season as a pro this season in Orlando at age 27. Jeremey Lamb didn’t find consistent individual success until he was in his sixth season with Charlotte at age 25. Fox, 20, and Ingram, 21, were both drafted by their respective organizations high in the lottery with the hopes that they could change the course of their franchise sooner rather than later. It’s not so much of if they’ll become dominate superstars, but how soon. That’s the mindset front offices enter the draft with – especially the lottery. If you are willing to draft a player who you don’t think can one day change your franchise, why would you consider him in the first place? Fox is the engine that drives the Kings, Ingram is still in the process of figuring it out – if he ever does. Hield, on the other hand, is 26. He was the No. 6 pick in the 2016 NBA Draft but never enthralled fans and media with superstar potential like Fox (5th overall pick in 2017) or Ingram (2nd overall in 2016) did with theirs. Fox and Ingram have no ceiling, at least not one that anyone has been able to find just yet. Well, to be more accurate, they have a ceiling, it’s just unclear how high or low it is. And it’ll be another 4-5 years before we can even attempt to decipher where exactly that ceiling might be. But with Hield, he’s blowing the roof off what was previously thought to be his ceiling. A poor fit for Hield in New Orleans and an even poorer fit with DeMarcus Cousins and the Sacramento Kings resulted in Hield and other assets being shipped to Sactown in exchange for Cousins. Hield excelled in the last 25 games of that 2016-17 season with the Kings but regressed a bit the next year. He averaged over 13 points per game and shot over 43 percent from three in his first full season with the Pelicans, but he was never anything to fawn over. The Kings were awful last season. A 36-year old Zach Randolph was their leading scorer and the offense was quite literally the exact opposite of the 2018-19 version. Hield had the green light last season, but this year it’s gone neon. 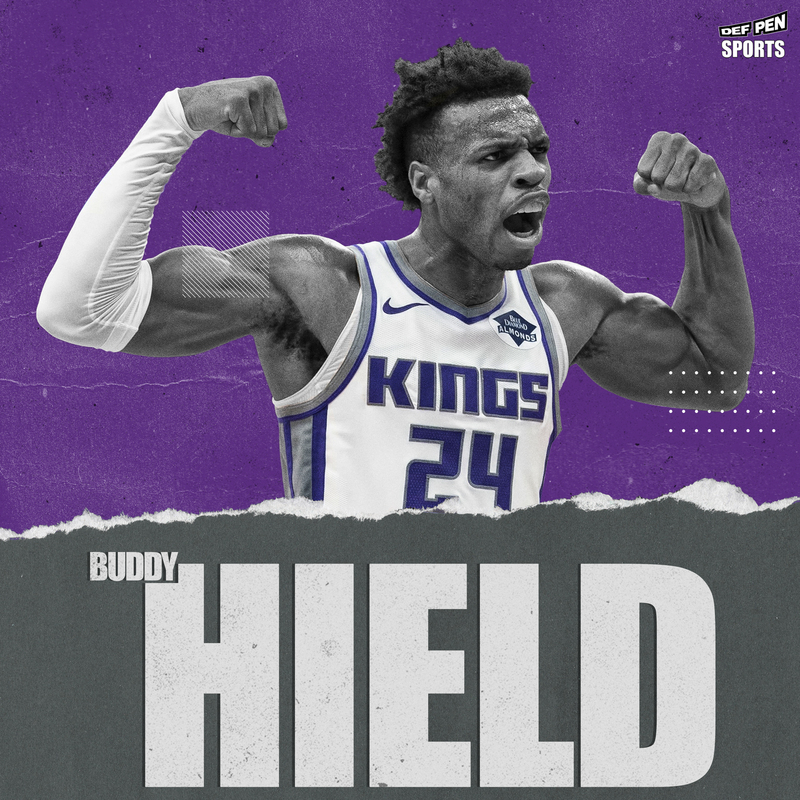 When the Kings decided to embrace a youth movement with Fox as the centerfold, they did so while keeping Hield in their back pocket. He proved to be worth the wait. This leap was worth the wait. Buddy Hield isn’t just an incredibly improved player so far this season, he’s still improving at this very moment. The former Oklahoma guard is averaging 20.1 points and 4.9 rebounds per game this season while shooting 44.4 percent from three on 7.3 attempts per game (up from 5.1 attempts last year). After averaging 18.4 points on 42.5 percent shooting in October and November, Hield upped his scoring to 21.6 in December and has taken that even further in the month of January, scoring 21.9 points per game on a blistering 53.2 percent from three on nearly six attempts per game. He continues to get better despite the games becoming more and more monotonous. In just one season, Hield has morphed from an average shooter into a lethal one. His efficiency marks rank near the top of the league in effective field goal percentage, three-point percentage, and points per shot attempts, according to Cleaning the Glass. A lot of it has to do with the confidence he’s instilled within himself. He doesn’t just think he’s one of the best shooters in the entire NBA, he knows it. 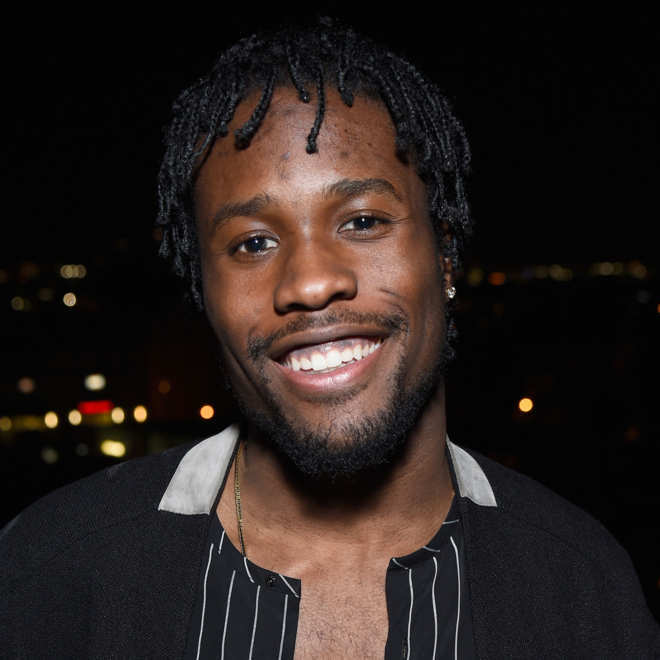 De’Aaron Fox might be the team’s most exciting and thrilling player for the future, but Hield is the one who knocks down the shots when his team needs them the most. He has a shot profile similar to Steph Curry and it’s not outlandish to say he shouldn’t take – and make – a lot of the same shots that Curry does. Since the new year officially ticked over to 2019, that’s exactly what he’s been doing. Hield is shooting 53.1 percent from the field, 53.2 percent from three, and 100 percent (6-6) from the free throw line over eight January games. In the three-ball era, he’s one of the few players left who you don’t mind taking a long-two, as long as it’s within the rhythm of his offense. 22 percent of his shot attempts come from 14-feet extended to the three-point line and he hits those at a 45 percent clip, one of the best marks in the league among wing players, according to Cleaning the Glass. He’s even a solid finisher around the rim when he does decide to attack the paint. Perhaps the most indicative stat of Hield taking the leap is his usage percentage (22.4 percent), which is slightly down from last season (23.1) but paints a larger picture. Hield isn’t just a spot-up shooter. He’s finishing possessions at the same rate as last year, but with heavily boosted shooting numbers. It’s easy to bump percentage points if you truly focus on where on the court you’re getting a shot off, it’s much harder to do so when you have to initiate the offense. Instead of letting the ball to come him like he did much of last season, he’s demanding it. 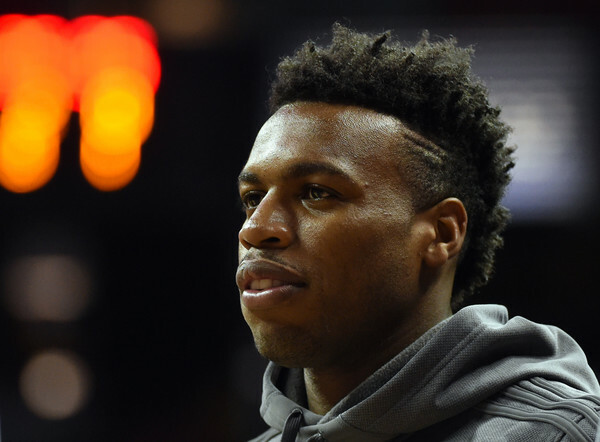 Buddy Hield isn’t the example many expected back in the summer to have a breakout season. Now he’s knocking on the door for Most Improved Player. The scary thing is, he’s still improving.